Basketballs DO hold grudges! Batista was wrong! Hmmmm should we use a ladder...........na that wont work. GUYS! GUYS! My shoe got stuck, someone throw the ball please!? 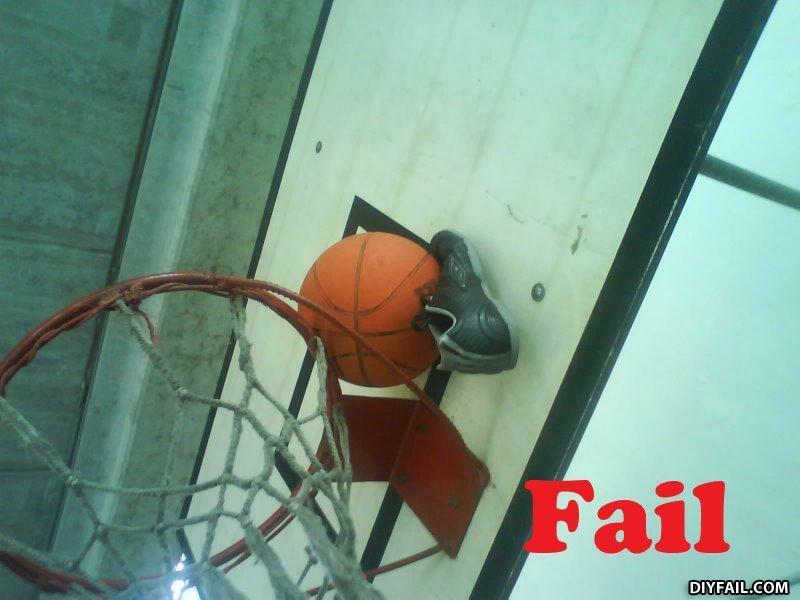 How would the shoe get stuck under the ball like that !!! This isn't a fail, this is a Win. It's not allowed to kick the ball! No, im just gonna sit up here. Just being a basketball. Now why would you use a ball to get a shoe down? And then suddenly, Lekwando was asked to play. It was my first allioop...failed. Duh!! My balls, hope this shoe will help duh!! Shoe and Ball win! Owner of shoe and ball, epic failure..
how the hell did someone get a shoe up there? Hey do you have a suitcase?